When Hadley's parents leave on a cruise and then are reported lost at sea, her perfect world is turned upside down. In a flash, she is whisked away to a new life of drudgery at Grimm House where she waits on not one but two persnickety old aunts. As she grudgingly fulfills their commands of cooking, cleaning, and even after-dinner-dancing, she comes to suspect the aunts are really witches who are scheming to take the thing she loves best. 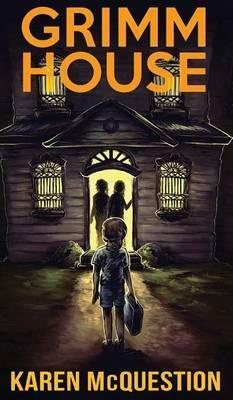 With only her wits and the help of some unlikely new friends, Hadley makes a plan to escape Grimm House and find her way home before it's too late.